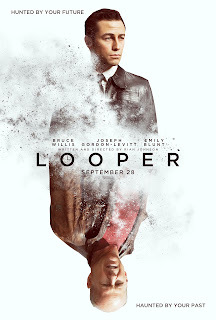 Essential plot rundown: In a future where time travel does not yet exist, a hit-man must face a future version of himself. When I first saw the trailer 5 months ago, I knew I had to see it. And I was not disappointed. 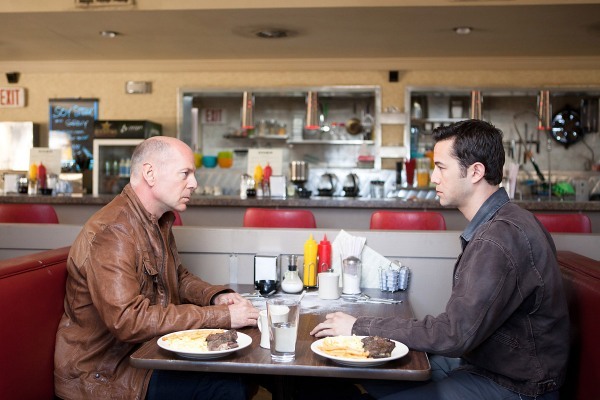 Similar to Dredd 3D, Looper begins with a v.o. narration setting up the world we are about to enter. And, likewise, this world is very interesting. JGL explains the world and his job. It creates a sense of realism, like this world actually exists. You really get a feel for this world and the people who live in it. I thought the acting was good. 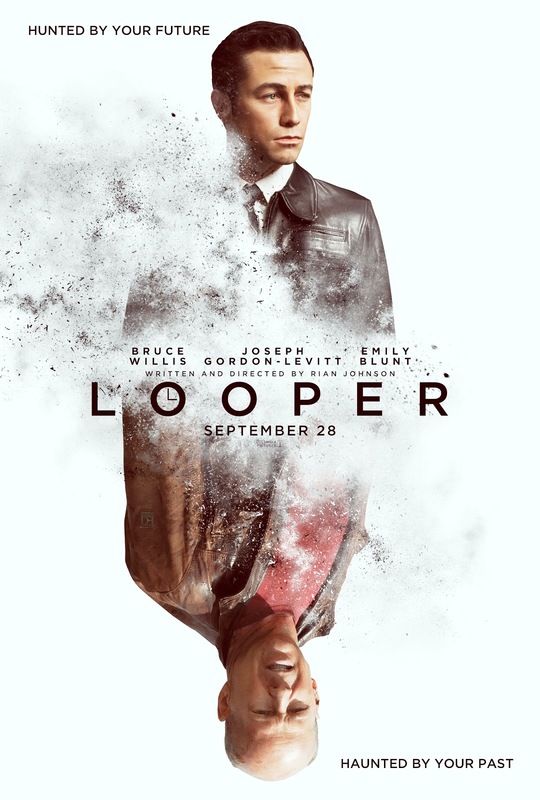 JGL did a really good job portraying Bruce Willis. Besides the hair, they look really similar, even down to the nose and squinting. And there is a child actor here. Normally, child actors aren't the best and can bog the movie down. However, 5 year old Pierce Gagnon can hold his own. The kid can act better than I can. Even the supporting characters were believable. But, there was one person that totally took me out of the movie for a second, thought he was only seen for 2 seconds. And that was Josh Perry. He is probably best known for his character "The Retarded Policeman" from the YouTubes. So, it was a WTF moment when I saw him. The story is also well written. And there is so much more to the story than what is seen in the trailers. The trailer is only the tip of the iceberg. The movie is deeper and raises some interesting thoughts. However, due to the time travel aspect and because I'm dense when it comes to story lines that aren't clean cut, I was a little confused at parts. There is one event that happened twice (maybe?) that I didn't understand. And, I thought I understood the ending, but then realized I didn't right this second. But the ending does wrap up nicely. And there was this part at the end that literally made my heart stop. And yes, I did get a little teary eyed. 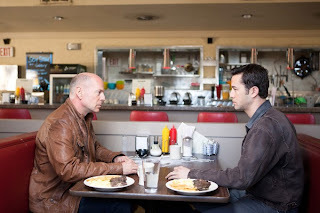 So, overall Looper is an awesome movie. Interesting world, good acting, and compelling story. Though, I personally didn't understand a few things (and it did drag a little in the middle), that didn't stop me from enjoying it. I would highly recommend it.